WAYNESBURG UNIVERSITY BENEDUM HALL AND EBERLY LIBRARY — Burchick Construction Company Inc. The Benedum Hall project involved two phases. 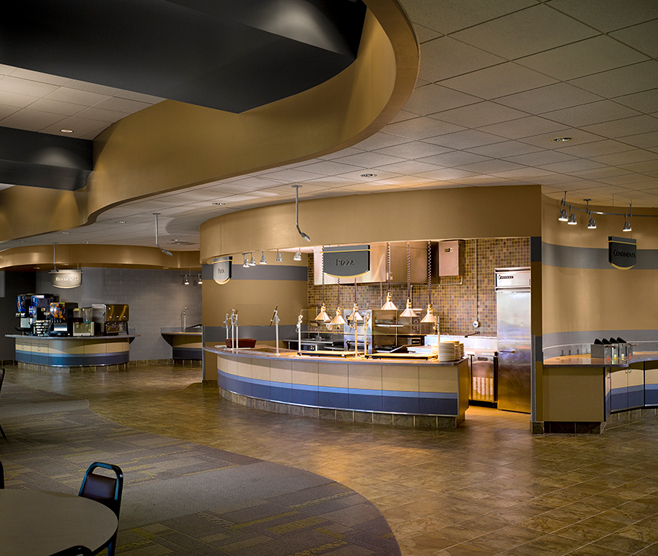 Phase I was a cooler addition with complete renovation to the servery area of the cafeteria which was required to be completed in less than three months for the start of school. 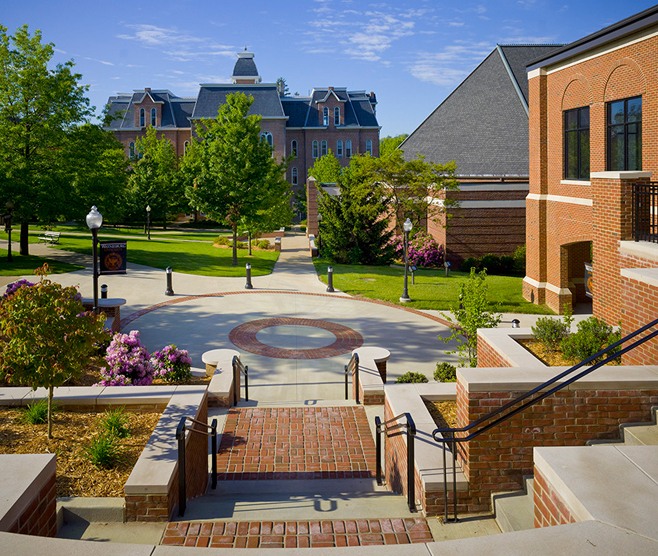 Phase two included an addition to the seating area, an elevator addition with new entry, and an ornamental stair connecting the building with the university’s walkway system and creating a covered plaza beneath the addition. This addition affected the two elevations of the existing building that were the main means of egress, which Burchick Construction Company, Inc. maintained through the entire school year. The Eberly Library additions and renovations were also a challenge as they involved extensive cutting into existing load bearing walls for new connections as well as protecting the existing contents of the building during construction. This was accomplished during the school year; all the while maintaining campus pedestrian walkways and use of the library. The Eberly Library had many challenges from the standpoint that the existing building had varying thickness of walls, up to two feet thick, and varying floor to floor heights, including a mezzanine level with a unique existing structure design that had to be modified at various levels. The work included underpinning, shoring of a three-story wall to needle in new openings, and major beam installation within the existing structure for the interior renovations in mostly load-bearing masonry walls.